Ending the gauntlet : removing barriers to women's success in the law. Thomson/Legalworks, c2006. KF299.W6R55 2006. This new book focuses the institutional impediments to women's success in the practice of law. It addresses all aspects of law firm life including firm management, the assignment process, billable hour demands, business generation, compensation, mentoring, attrition, and work/family issues. It also sets forth recommendations for change, describing concrete actions which law firms can implement in order to enable women to take their rightful place as equals in the legal profession. The book is the result of two years of research and is based on the author’s interviews with hundreds of women lawyers and law firm managers from all over the country. The author also draws extensively on a wide range of research across multiple disciplines in order to shed further light on the areas covered. Although the book is about women in law firms, the issues raised could apply to any professional setting. Preston Elrod, R. Scott Ryder. Juvenile justice : a social, historical, and legal perspective. Jones and Bartlett Publishers, c2005. This resource offers readers a guide on how the juvenile justice system works. 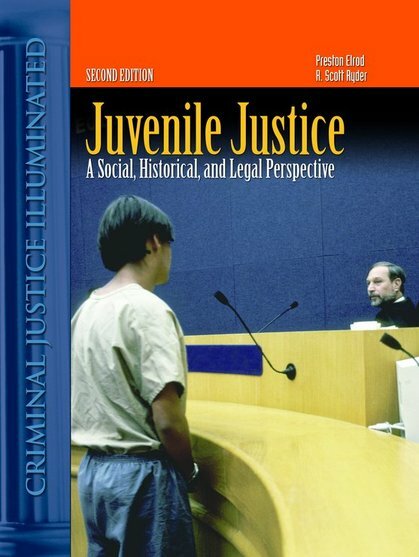 This book is designed to help readers understand the complexities of the present juvenile justice system by presenting an examination of the social, historical, and legal context within which delinquency and juvenile justice occurs. Readers will also learn how the different parts of the process are interrelated, how decisions made in one case influence future cases, and the laws that direct juvenile justice policy. Paul Craig and Adam Tomkins, Editors The executive and public law : power and accountability in comparative perspective, Oxford University Press, 2006. Patrick A. McNutt Law, economics and antitrust : towards a new perspective, Edward Elgar, 2005. Thomas E. Carbonneau, executive editor Jeanette Jaeggi, Sandra K. Partridge, assistant editors Handbook on international arbitration and ADR, JurisNet, 2006. Benton E. Gup The new Basel Capital Accord, Thomson, 2004. Hal S. Scott, Editor Capital adequacy beyond Basel : banking, securities, and insurance, Oxford University Press, 2005. Alan R. Bromberg, Larry E. Ribstein Bromberg and Ribstein on limited liability partnerships, the Revised Uniform Partnership Act, and the Uniform Limited Partnership Act (2001), 2007 ed., Aspen Publishers, 2007. Jocelyn Elise Crowley The politics of child support in America, Cambridge University Press, 2003. Alexander Layton and Hugh Mercer, general editors; Lucy Wyles, Charles Dougherty, Peter de Verneuil Smith, assistant editors; Stephen O'Malley, consultant editor European civil practice, 2nd ed., Thomson/Sweet & Maxwell, 2004. Thomas Cottier, Joost Pauwelyn and Elisabeth Burgi Bonanomi, Editors Human rights and international trade, Oxford University Press, 2005. John Torpey, Editor Politics and the past : on repairing historical injustices, Rowman & Littlefield Publishers, 2003. Martha P. Largo, editor The Federal Communications Commission : what role?, Nova Science Publishers, 2004. Christopher N. May, Allan Ides Constitutional law national power and federalism : examples and explanations, 4th ed., Aspen Publishers, Inc., 2007. Rick Bigwood Exploitative contracts, Oxford University Press, 2003. William F. Patry Patry on copyright, Thomson/West, 2006. A.P. Simester, Editor Appraising strict liability, Oxford University Press, 2005. Albert Fiadjoe Alternative dispute resolution : a developing world perspective, Cavendish, 2004. Nancy Berns Framing the victim : domestic violence, media, and social problems, 1st ed., Aldine de Gruyter, 2004. Sherri L. Burr Entertainment law in a nutshell, 2nd ed., Thomson/West, 2007. Michael Williams Deforesting the earth : from prehistory to global crisis, University of Chicago Press, 2003. Thomas P. Lyon and John W. Maxwell Corporate environmentalism and public policy, Cambridge University Press, 2004. Kathryn G. Henkel Estate planning and wealth preservation : strategies and solutions, 2002 ed., Warren, Gorham & Lamont, 2002. David Westfall, George P. Mair; chapter 13 contributed by Rebecca J. Benson; with forms by Georgiana J. Slade and James S. Sligar Estate planning law and taxation, 4th ed., Warren, Gorham & Lamont, 2001. John R. Price and Samuel A. Donaldson; chapter 13 by Gair Bennett Petrie Price on contemporary estate planning, 2007 ed., CCH, 2006. Leone Niglia The transformation of contract in Europe, Kluwer Law International, 2003. David Rose and Lisa Goos DNA : a practical guide, Thomson Carswell, 2005-2006. Jose Manuel Lebre de Freitas, Editor The law of evidence in the European Union = Das Beweisrecht in der Europaischen Union = Le droit de la preuve dans l'Union Europeenne, Extenza-Turpin; distributor, 2004. Daniel P. Moynihan, Timothy M. Smeeding, and Lee Rainwater, editors The future of the family, Russell Sage Foundation, 2004. Joanne Conaghan and Kerry Rittich, editors Labour law, work, and family : critical and comparative perspectives, Oxford University Press, 2005. John Abraham and Helen Lawton Smith, Editors Regulation of the pharmaceutical industry, Palgrave Macmillan, 2003. Sheila A.M. McLean, Editor Genetics and gene therapy, Ashgate, 2005. Alan C. Monheit and Joel C. Cantor, Editors State health insurance market reform : toward inclusive and sustainable health insurance markets, Routledge, 2004. Frances H. Miller, Editor Rights and resources, Ashgate/Dartmouth, 2003. Lee R. Russ, senior editor and author; Bruce F. Freeman, editor and author; J. Stanley McQuade, Christine Stewart, consultant and medical advisor Attorneys medical advisor, Reissued ed., Thomson/West, 2005. Sabine Michalowski Medical confidentiality and crime, Ashgate, 2003. Richard B. Stephens, et al. Federal estate and gift taxation : including the generation-skipping transfer tax, 8th ed., Warren, Gorham & Lamont, 2002. Xuan Thao N. Nguyen, Robert W. Gomulkiewicz, Danielle Conway-Jones Intellectual property, software, and information licensing : law and practice, Bureau of National Affairs, 2006. Thomas E. Hays & Claire C. Milne Intellectual property law in practice, Thomson/W. Green, 2004. Jan Ramberg International commercial transactions, 3rd ed., Norstedts Juridik AB, 2004. Klaus J. Hopt, editor, et al. Corporate governance in context : corporations, states, and markets in Europe, Japan, and the US, Oxford University Press, 2005. Peter Binder International commercial arbitration and conciliation in UNCITRAL model law jurisdictions, 2nd ed., Sweet & Maxwell, 2005. Michael W. Buhler and Thomas H. Webster Handbook of ICC arbitration : commentary, precedents, materials, 1st ed., Sweet & Maxwell, 2005. Yves Derains and Eric A. Schwartz A guide to the ICC rules of arbitration, 2nd ed., Kluwer Law International: Sold and distributed by Aspen Publishers, 2005. Hirad Abtahi and Gideon Boas, Editors The dynamics of international criminal justice : essays in honour of Sir Richard May, Nijhoff Publishers, 2006. Michael J. Kelly; foreword by Desmond Tutu Nowhere to hide : defeat of the sovereign immunity defense for crimes of genocide and the trials of Slobodan Milosevic and Saddam Hussein, Peter Lang, 2005. Sam Ricketson and Jane C. Ginsburg International copyright and neighbouring rights : the Berne Convention and beyond, 2nd ed., Oxford University Press, 2006. Sumudu A. Atapattu Emerging principles of international environmental law, Transnational Publishers, 2006. Nico Schrijver & Friedl Weiss, editors; with a foreword by Bruno Simma and with a preface by Kamal Hossain International law and sustainable development : principles and practice, Martinus Nijhoff Publishers, 2004. Niraj Nathwani Rethinking refugee law, Martinus Nijhoff Publishers, 2003. Rudiger Wolfrum, Volker Roben, Editors Developments of international law in treaty making, Springer, 2005. Duncan B. Hollis, Merritt R. Blakeslee & L. Benjamin Ederington, Editors National treaty law and practice, Martinus Nijhoff Publishers, 2005. Bertram I. Spector and I. William Zartman, Editors Getting it done : postagreement negotiation and international regimes, United States Institute of Peace Press, 2003. Ige F. Dekker and Wouter G. Werner, Editor Governance and international legal theory, M. Nijhoff, 2004. Chittharanjan F. Amerasinghe Jurisdiction of international tribunals, Kluwer Law International, 2003. Ernest K. Bankas The state immunity controversy in international law : private suits against sovereign states in domestic courts, Springer, 2005. Gerry Simpson Great powers and outlaw states : unequal sovereigns in the international legal order, Cambridge University Press, 2004. Stuart Maslen Commentaries on arms control treaties, Oxford University Press, 2004. Richard Burchill, Nigel D. White, and Justin Morris, Editors International conflict and security law : essays in memory of Hilaire McCoubrey, Cambridge University Press: published in association with the McCoubrey Centre for International Law, 2005. Enzo Cannizzaro and Paolo Palchetti, Editors; with a foreword by Bruno Simma Customary international law on the use of force : a methodological approach, M. Nijhoff, 2005. R. Doak Bishop, editor The art of advocacy in international arbitration, Juris Pub., 2004. Archbold international criminal courts : practice, procedure and evidence, 2nd ed., Sweet & Maxwell, 2005. Hector Olasolo The triggering procedure of the International Criminal Court, M. Nijhoff Publishers, 2005. David Vines and Christopher L. Gilbert, Editors The IMF and its critics : reform of global financial architecture, Cambridge University Press, 2004. Shabtai Rosenne The law and practice of the International Court, 1920-2005, 4th ed., Martinus Nijhoff, 2006. Boris I. Bittker, Lawrence Lokken Fundamentals of international taxation : U.S. taxation of foreign income and foreign taxpayers, 2006/2007 ed., Warren, Gorham & Lamont, 2006. Jonathan Reuvid, consultant editor A handbook of world trade : a strategic guide to trading internationally, 2nd ed., ICC Pub., 2004. Alain Prujiner et Bernard Colas Treaties and international documents used in international trade law = Traites et documents internationaux usuels en droit du commerce international, 2nd ed., rev. and updated, Wilson & Lafleur : ICC Pub., 2005. Mark F. Grady, Francesco Parisi, Editors The law and economics of cybersecurity, Cambridge University Press, 2006. Knut Vikor Between God and the Sultan : a history of Islamic law, Oxford University Press, 2005. Jan Schapp traducao, Emildo Stein Hauptprobleme der juristischen Methodenlehre. Portuguese; Problemas fundamentais da metodolgia juridica, S.A. Fabris Editor, 1985. Marianne N. Bloch, editor, et al. Governing children, families, and education : restructuring the welfare state, 1st ed., Palgrave Macmillan, 2003. Preston Elrod, R. Scott Ryder Juvenile justice : a social, historical, and legal perspective, 2nd ed., Jones and Bartlett Publishers, 2005. J. Malmberg editor; B. Fitzpatrick, et al. Effective enforcement of EC labour law, Kluwer Law international, 2003. Diamond Ashiagbor The European employment strategy : labour market regulation and new governance, Oxford University Press, 2005. China Mieville Between equal rights : a Marxist theory of international law, Brill, 2005. Shirley V. Scott International law in world politics : an introduction, Lynne Rienner Publishers, 2004. Nalini Ratha, Ruud Bolle, editors Automatic fingerprint recognition systems, Springer, 2004. Robin S. Wellford Legal reasoning, writing, and persuasive argument, LexisNexis Matthew Bender, 2006. Jack Davies Legislative law and process in a nutshell, 3rd ed., Thomson/West, 2007. Frank L. Fine The EC competition law on technology licensing, Sweet & Maxwell, 2006. Kevin C. Kennedy, Editor The first decade of NAFTA : the future of free trade in North America, Transnational Publishers, 2004. Journal of intellectual property law & practice, Oxford University Press, 2005. Margarete Singer, Dieter Stauder, Editors European Patent Convention : a commentary, 3rd ed., Sweet & Maxwell, 2003. Edward J. Imwinkelried, Theodore Y. Blumoff Pretrial discovery : strategy & tactics, 2004 ed., Thomson West, 2005. George A. Bermann, Petros C. Mavroidis, Editors Trade and human health and safety, Cambridge University Press, 2006. Carole Sweeney From fetish to subject : race, modernism, and primitivism, 1919-1935, Praeger Publishers, 2004. Jan Niessen and Isabelle Chopin, editor The development of legal instruments to combat racism in a diverse Europe, M. Nijhoff Publishers, 2004. Spencer Zifcak, Editor Globalisation and the rule of law, Routledge, 2005. NASD manual, Wolters Kluwer Financial Services, 2006. John D. O'Gara Corporate fraud : case studies in detection and prevention, Wiley, 2004. Top multistate tax issues for 2007 CPE course, CCH, Inc., 2006. Paul Eden and Therese O'Donnell, Editors September 11, 2001 : a turning point in international and domestic law?, Transnational Publishers, 2005. Sergio T. Azua Reyes prol. de Ignacio Galindo Garfias Teoria general de las obligaciones, 4a ed., Porrua, 2004. Jose Graca Aranha Protocolo de Madri : registro internacional das marcas, Editora Lumen Juris, 2004. Ranabir Samaddar The politics of dialogue : living under the geopolitical histories of war and peace, Ashgate, 2004. Yves Beigbeder International justice against impunity : progress and new challenges, Martinus Nijhoff Publishers, 2005. Frits Kalshoven; preface by Jean Pictet; preface to the second edition by Ruth Wedgwood Belligerent reprisals, 2nd ed., Martinus Nijhoff Publishers, 2005. Ibrahim Kaya Equitable utilization : the law of non-navigational uses of international watercourses, Ashgate, 2003. Lauren Stiller Rikleen Ending the gauntlet : removing barriers to women's success in the law, Thomson/Legalworks, 2006. Helen Durham and Tracey Gurd, Editors Listening to the silences : women and war, Martinus Nijhoff, 2005. Broadcast and audio flag : hearing before the Committee on Commerce, Science, and Transportation, United States Senate, One Hundred Ninth Congress, second session, January 24, 2006. NATO : from common defense to common security : hearing before the Committee on Foreign Relations, United States Senate, One Hundred Ninth Congress, first [i.e. second] session, February 7, 2006. Nomination of Uttam Dhillon : hearing before the Committee on Homeland Security and Governmental Affairs, United States Senate, One Hundred Ninth Congress, second session, on the nomination of Uttam Dhillon, to be Director, Office of Counternarcotics Enforcement, U.S. Department of Homeland Security, March 31, 2006. Nomination of Mark D. Acton : hearing before the Committee on Homeland Security and Governmental Affairs, United States Senate, One Hundred Ninth Congress, second session, on the nomination of Mark D. Acton, to be Commissioner, Postal Rate Commission, March 31, 2006. Immigration : economic impacts : hearing before the Committee on the Judiciary, United States Senate, One Hundred Ninth Congress, second session, April 25, 2006. Understanding the benefits and costs of Section 5 pre-clearance : hearing before the Committee on the Judiciary, United States Senate, One Hundred Ninth Congress, second session, May 17, 2006. Orphan works : proposals for a legislative solution : hearing before the Subcommittee on Intellectual Property of the Committee on the Judiciary, United States Senate, One Hundred Ninth Congress, second session, April 6, 2006. Protecting consumers and promoting competition in real estate services : hearing before the Committee on Financial Services, U.S. House of Representatives, One Hundred Ninth Congress, first session, June 15, 2005. Gasoline : supply, price, and specifications : hearings before the Committee on Energy and Commerce, House of Representatives, One Hundred Ninth Congress, second session, May 10 and May 11, 2006. Out at home : why most Nats fans can't see their team on TV : hearing before the Committee on Government Reform, House of Representatives, One Hundred Ninth Congress, second session, April 7, 2006. Working through an outbreak : pandemic flu planning and continuity of operations : hearing before the Committee on Government Reform, House of Representatives, One Hundred Ninth Congress, second session, May 11, 2006. OMB's financial management line of business initiative : too much too soon? : hearing before the Subcommittee on Government Management, Finance, and Accountability of the Committee on Government Reform, House of Representatives, One Hundred Ninth Congress, second session, March 15, 2006.
International maritime security II : law enforcement, passenger security, and incident investigation on cruise ships : hearing before the Subcommittee on National Security, Emerging Threats, and International Relations of the Committee on Government Reform, House of Representatives, One Hundred Ninth Congress, second session, March 7, 2006. Hearing on you don't need papers to vote? non-citizen voting and ID requirements in U.S. elections : hearing before the Committee on House Administration, House of Representatives, One Hundred Ninth Congress, second session, hearing held in Washington, DC, June 22, 2006. United States policy toward Iran : next steps : hearing before the Committee on International Relations, House of Representatives, One Hundred Ninth Congress, second session, March 8, 2006. Visa overstays : can we bar the terrorist door? : hearing before the Subcommittee on Oversight and Investigations of the Committee on International Relations, House of Representatives, One Hundred Ninth Congress, second session, May 11, 2006. Public Expression of Religion Act of 2005 : hearing before the Subcommittee on the Constitution of the Committee on the Judiciary, House of Representatives, One Hundred Ninth Congress, second session, on H.R. 2679, June 22, 2006.